It began with ham radio…. 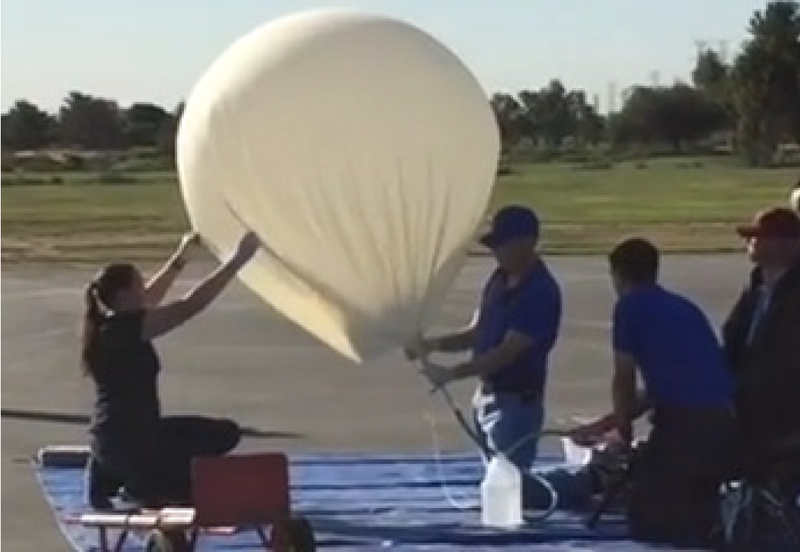 In 2016, Mrs. Michael decided she wanted to launch a high altitude weather balloon with her students. A science mentor of hers told her she had to obtain a ham radio operator license. She joined a group of mostly g randpa ham radio operators in Torrance and got her own license; the group, who dubbed themselves the ‘balloonatics’, then helped with the class project, to launch their own balloon. In April, she received clearance from the F.A.A. to have her (32 kindergarten-5th grade) students launch a helium filled High-Altitude weather Balloon (HAB) from the Goodyear Blimp Airfield in Carson, reaching 98,405 feet (18.6 miles), using APRS to track the payload of GoPro cameras a one 360 Degree Pix Pro camera. This past March, she led another HAB, this one going 110,288 feet (20.9 miles) at its peak height. She is a K-5 science teacher at Meadows Elementary in Manhattan Beach. Joanne is a Space Camp for Educators and Advanced Space Camp for Educators graduate, and is currently an International Ambassador for Space Camp. On September 8, 2017, she coordinated and led an ARISS (Amateur Radio on the International Space Station) contact with ESA astronaut Paolo Nespoli, IZØJPA. The 2017-18 Teacher of the Year for Meadows Elementary, Joanne’s future aspirations are to get her district more attuned in Ham radio (with at least one operator at each site), and to introduce Fox Hunts to her students. 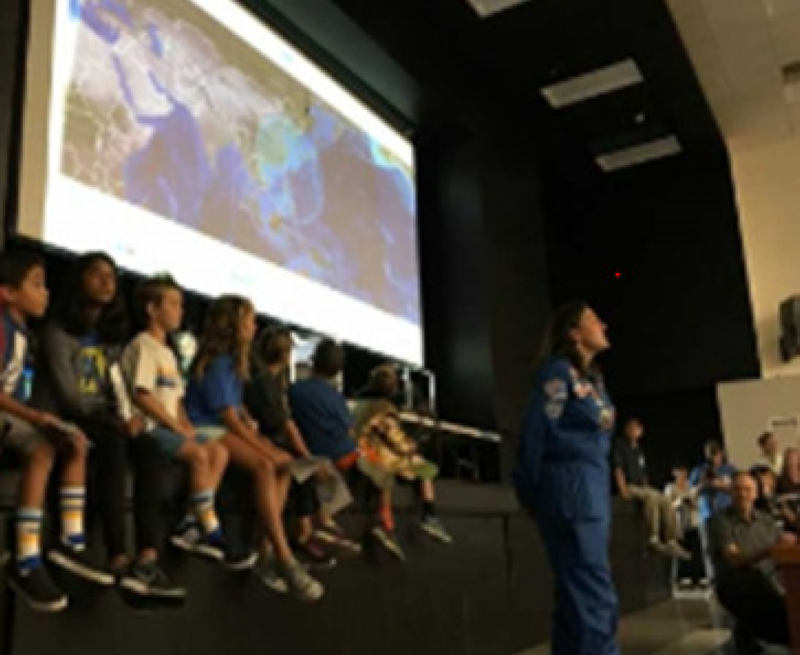 One More Note: The high altitude launches were funded by MBEF’s “Teachers Driving Innovation” grants, which supplements state funding for programs that inspire learning, enrich teaching, and promote innovation and academic excellence in the public schools of Manhattan Beach. W6TRW club member, Elizabeth Kunkee, KS4IS, is a MEBF volunteer.